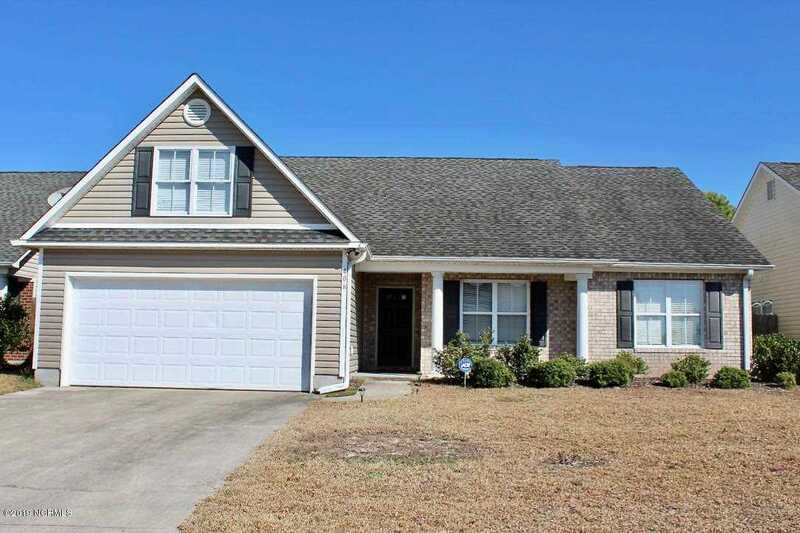 Welcome to this charming 3 bedroom, 2 bathroom home that's complete with a bonus room! You will instantly feel at home once you walk through the door to find a cozy fireplace in the large living room. The kitchen not only offers plenty of counter space, but it also has beautiful stainless steel appliances. Just off of the kitchen is a breakfast nook, but you also have a formal dining room for family dinners or entertaining. Be sure to bring your patio furniture when you move in, because this home not only has a screened in patio, but it also has an uncovered patio and a large wood deck! What are you waiting for? Schedule your appointment today! Directions:Market Street to Ogden Park Drive. Right on Ogden Business Lane. Left on Putnam Drive. House on right. SchoolsClick map icons below to view information for schools near 406 Putnam Drive Wilmington, NC 28411. Listing provided courtesy of Seashore Realty Group.